DAC Beachcroft, Dentons, Olswang and Ince & Co have joined the ranks of leading UK law firms to have filed their limited liability partnership (LLP) accounts on Companies House, with the former three all seeing an increase in their bank debt. Dentons UKMEA LLP saw its bank loans increase by around £3m in the 2012/13 year, while profit was down 10% to £28.3m, which the firm attributed to increased marketing and administration costs stemming from its tripartite merger with Salans and Fraser Milner Casgrain. Revenue at the top-10 firm dropped 1.5% from £144.8m to £142.8m. Meanwhile, in line with firms including Shoosmiths and Morgan Cole that saw their highest paid equity partner sum fall, Dentons paid their best earner £564,000, constituting an 18% drop when compared to 2011/12. The firm enjoyed savings in staff costs, which decreased from £75,705 to £72,822 this year, due to a decline in numbers, including fee earners and support staff, from 994 to 928 members. Elsewhere, as DAC Beachcroft yesterday (21 January) announced the opening of its representative office in New York, its LLP accounts reveal increases in its borrowings over the course of the last financial year to finance continued investment. During a year in which the 1000-lawyer top 25 UK firm acquired the assets of Andersons Solicitors in Scotland in September 2012 and formed DAC Beachcroft Chile Limitada in Santiago two months later, its accounts show that the firm has refinanced its banking facilities, which now include a £40m four-year revolving credit facility, while the LLP accounts also confirm a £10.2m cash call from partners. Net debt grew 14% from £34m in 2011/12 to £38.7m the following year, with the Andersons acquisition adding close to £500,000 to net debt, but adding net assets of £600,000. The accounts confirm a 14% increase in turnover for 2012/13 to £186.8m from £163.5m the year before. Operating profit too increased 13% from £30.8m at the end of 2012 to £34.6m in 2012/13. Staff costs increased 16% from £86m to £99m as total staff grew 11% from 1842 at the end of 2012 to 2051 the following year, as did the average number of equity partners from 89 to 113. However, the highest paid equity member took home £450,000 at the end of last financial year, 22% less than £579,000 the year before. Meanwhile, Olswang’s filings reveal that its overdraft grew by £3m to £18m in 2013, with net debt up to £13.7m from £8.4m. The UK top 40 firm, which saw its turnover increase from £108.5m to £110m but operating profit drop from £39.3m to £38m, paid its highest earning equity member a significantly heavier pay packet this year at £716,000, up from £576,000. Its overall employee headcount dropped from 565 to 554 in 2013. Standing out for reducing its bank loans, however, is top 40 firm Ince & Co, which LLP accounts show £500,000 in bank loans in 2013, compared to the previous year’s figure of £1.4m. Revenue was more or less static in 2013 at £61.9m compared to £61.1m in the previous year, while the overall profit was £1m lower in 2013 at £19m. The firm’s highest paid member also took home less in 2013 at £545,670 compared to £584,065 in the previous year. The increased fluidity between the various limbs of the legal profession has been in evidence over the past few days as offshore litigation boutique Kobre & Kim hires Littleton Chambers’ Andrew Stafford QC as a partner and high profile Ince & Co partner Jonathan Lux joins Stone Chambers, while Devereux Chambers has also announced the arrival of tax specialist Jolyon Maugham from 11 New Square. Stafford QC, who becomes Kobre’s third QC appointment, specialises in commercial litigation, with a particular emphasis on financial services, pensions and employment related disputes.He joins James Corbett QC (formerly of Serle Court) and Jalil Asif QC (formerly of 4 New Square). He remains an associate door tenant at the 51-barrister Temple set. Littleton recently appointed a successor to co-head the set following former leader Clive Freedman QC’s decision to stand down, with John Bowers QC serving as joint head of chambers alongside Andrew Clarke QC. Elsewhere, Lux leaves Ince & Co after 30 years, but will continue his practice as an international commercial mediator and arbitrator from Stone Chambers as an associate member. In addition, he will also accept work as counsel from November. Lux is one of the founder members of CEDR and co-author of ADR and Commercial Disputes. In December 2011 he featured in Lloyd’s List of top ten legal Personalities. Maugham meanwhile, brings to Devereux Chambers a predominately litigation-based practice in the fields of direct and indirect tax, focusing on areas including employment taxation, ‘scheme’ transactions, and film financing. The moves come as Brick Court Chambers is both celebrating and commiserating the appointment of joint head of chambers Nicholas Green QC to the High Court as a judge. He will sit as a judge of the Queen’s Bench Division from 1 October. 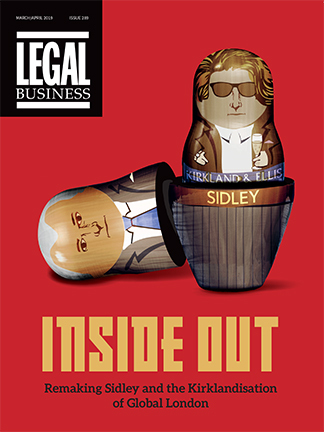 See the October issue of Legal Business for an extensive insight into the barrister-clerk relationship.